Infrico, the leading commercial refrigeration firm for the HORECA channel, Hospitality, Catering and Marketing is the VIP supplier of Gasel, the central purchasing and services of professional installation companies of commercial and industrial refrigeration in France. Precisely in the French country, Infrico has been implanted for more than 20 years with its own delegation composed of management and commercial team to meet the high demand of the cold refrigeration equipment of the Spanish company in French territory. And it is that the technology and high quality of Infrico equipment have a great acceptance in this area, being present in the main restaurants, cafes and hotel complexes in the country. France is a country with a wide culinary culture, especially desserts and sweets. The display cabinets for pastries and chocolates of Infrico are very well considered by the demanding master confectioners who say they are the best to ensure the most exquisite textures and flavours. With clients around the world and a large share of the national market, Infrico, which is in a continuous process of growth and expansion, currently has more than four hundred and fifty employees spread across 13 delegations in Spain and 15 abroad. In addition, in a firm commitment to stability and social welfare, more than 90% of workers are permanent employees and in the last year the workforce has doubled. 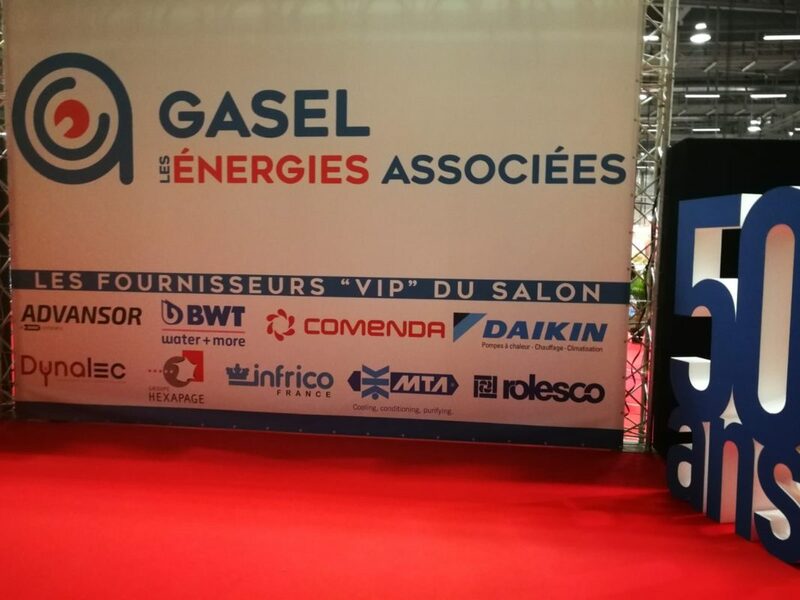 Gasel is a group of installers specialized in the fields of commercial and professional refrigeration, among others, offering the best refrigeration products, professional cooking, heating and ventilation.